This recipe makes roughly a dozen medium-sized roti. About 100g margarine, be careful because when you add the hot water the margarine melts and it is better to start with less margarine and add more than have too much margarine to start off with. 3 cups boiling hot water. You might need more, you might need a little less. Rub in the margarine, until it resembles a crumb mixture. Slowly add the hot water and using a spoon, mix until the mixture comes together and is cool enough to the touch. Using your hands, knead until the mixture is a nice ball. Turn out onto a floured surface and knead until nice and smooth and elastic. Rub the tops of each with margarine and dust with some flour. Fold one side over the other. Squeeze into your hand and then roll into a log. Roll both ends up and working your way to the center so that it forms an S.
Fold one side on top of the other. Pop into a tray, cover and pop into the fridge for an hour so that the margarine can chill. Roll out each piece on a floured surface into a round shape. Gently brush the pan with some melted margarine and fry the roti on one side cooked through, flip and repeat, some brown air bubble pockets are what you are looking for. 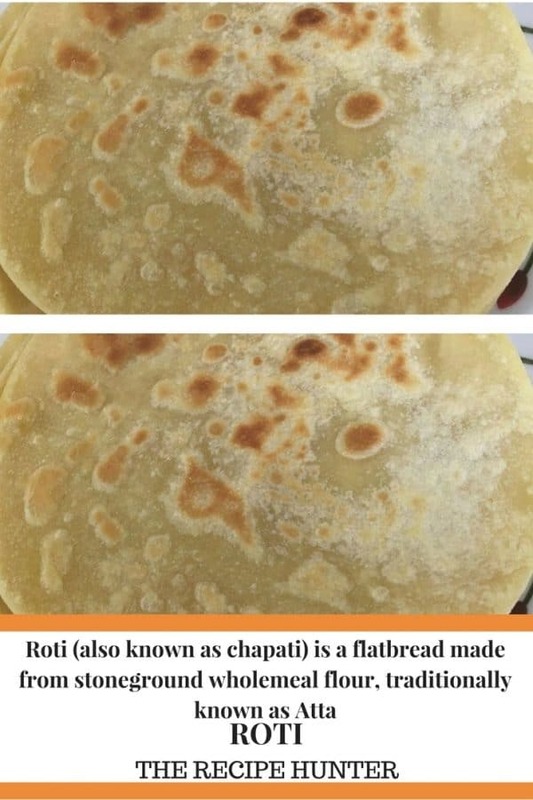 Roti and chapatti aren’t quite the same – one is oven cooked, the other on a griddle or hot plate. Thank you for clarification. Excuse my ignorance but it seems like I am mislead by Mr Google.